Films in which the protagonist is an elderly are not so common, since their target group is quite far from what companies consider as mainstream. This, however, does not mean that these films lack in quality, as recent movies like “Mr Six” and “The Great Buddha+” have proven the exact opposite. “Old Beast” follows in their footsteps. 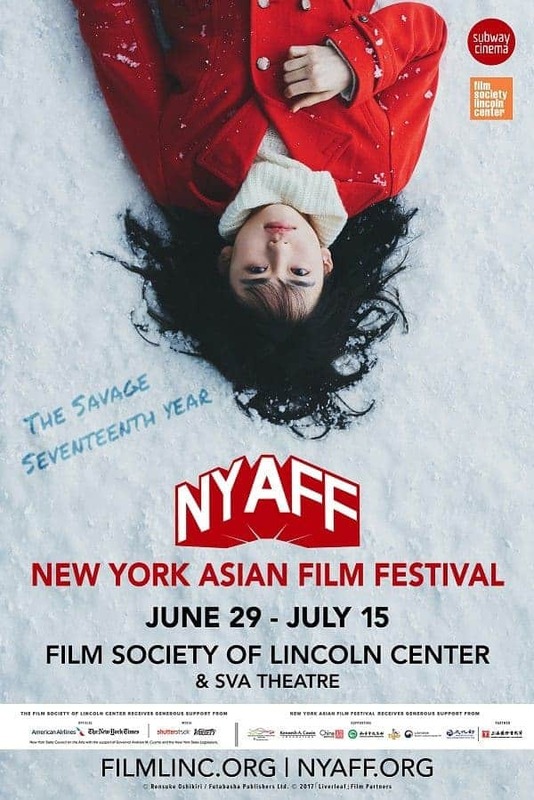 Set in the city of Ordos in Inner Mongolia, the movie tells the story of Lao Yang, a truly despicable 60-year old individual, a once rich man who lost everything due to the city’s real state crisis, and now roams the streets of the town in his bike, caring for nothing but his wishes. In that fashion, he stays out all night to gamble and visit shady massage parlours, while his wife lies in the hospital on the brink of death. However, when he sells his friend’s lama in order to buy gifts for his mistress and steals the money his children have raised to pay for their mother’s surgery, a downward spiral begins that places him against his family, even in physical ways. Zhou Ziyang directs a film based on his own experiences, which moves into two axes. The first is the most obvious one and the one “in charge” of the entertainment aspect, and revolves around the main character, a man who is filled with faults. He lies constantly, he gambles, he has no regard for his family but cares only for himself, and is willing to take advantage of everyone that comes his way in order to indulge his whims. However, and as the movie progresses, Ziyang also presents his side, as a man who has helped his children in the past to stand on their feet, and now just wants to have a good time, thinking that they owe him something for the help he has given them in the past. These two takes on the role of parents and children (his and of his children who expect him to behave “decently,” as the norms regarding fathers dictate) eventually collide, forming one of the most dramatic aspects of the film’s narrative. This axis benefits the most by Tu Men’s (A Simple Goodbye) outstanding performance, who presents a seemingly shallow, but actually quite complex man with realism and gusto, highlighting both his faults and his physical weaknesses, which eventually have him pay the consequences of his actions. One of his performance’s (and the direction’s) biggest traits is that he manages to induce his character with a sense of humor (the scene in the ATM is a great example) in a rather dramatic setting, thus functioning, occasionally, as a relief for all the awful events that take place in the story. This underlying sense of humor is also stressed by his composure, as he rides his bike with a stance filled with pride and complacency (like the one presented in Hollywood with the riders of Harley Davidson bikes), while the camera allows the audience to see that his vehicle is a rather cheap one and he actually rides it in a place that looks like a dystopia. The second axis revolves around the background of the story, namely the city of Ordos, and the consequences of the transformation it experienced over the decade of 2005-2015, where it went from impoverishment to lavish wealth, then to amassing a tremendous amount of debt (director’s statement). Both the father and the children seem to suffer greatly from the repercussions of the capitalistic “progress,” with his son Bing and his wife Lixia trying to amass money by working extreme hours, and his daughter Mei and her spouse Liang, being terrified that Lao Yang’s actions will have a negative impact on his chances for a promotion. The awful financial situation of the city is also presented indirectly, since Qin, another daughter who leaves in a place far away, seems to be the only with some financial security. This aspect benefits the most by Matthias Delvaux cinematography, who presents the city of Ordos as a desolate, almost dystopian environment, taking full advantage of the plethora of abandoned apartment blocks, and the almost constant cloudiness that seems to dominate the weather in the area. Li Xinzhu’s editing allows the film to flow at a relatively slow pace, but at a speed much higher than the usual one in Chinese art-house, thus stressing the entertainment aspect of the movie. 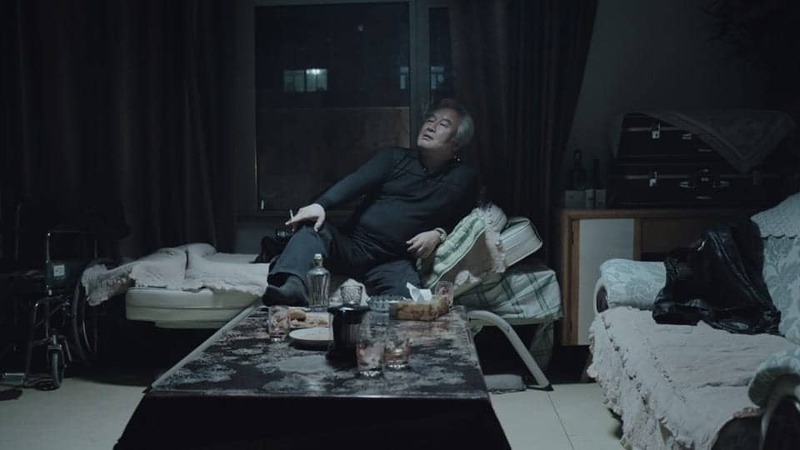 “Old Beast” is a great film that highlights the director’s knowledge of the place he grew up at and Tu Men’s performance, as it presents a combination of entertainment and meaningfulness through a number of points but quite realistic social remarks.